Vegas has more celebrity chefs than you can keep track of, the most master sommeliers of any US city, and the best access to the rarest ingredients in the world. In other words: it's foodie paradise. From fine dining to comfort food favourites, we share our personal recommendations for every type of cuisine and price point. Whether you're craving top quality wagyu beef, the freshest fish, black truffle ramen, or the juiciest burger, we've cooked up this hit list for you to savor. We painstakingly taste-tested over a hundred restaurants to bring you a different, fresh perspective - to add a little flavor if you will. Twist by Pierre Gagnaire is as special as special occasion restaurants get. Some of the most imaginative dishes in Vegas, Twist turns single ingredients into culinary masterpieces. The plating is so beautiful it'll give you pause, though ultimately you won't be able to resist taking that first bite. We crave... it all! Fortunately the Six Course Tasting Menu provides a great solution. Or take things to the next level with XPR's Twist Chef's Table experience. 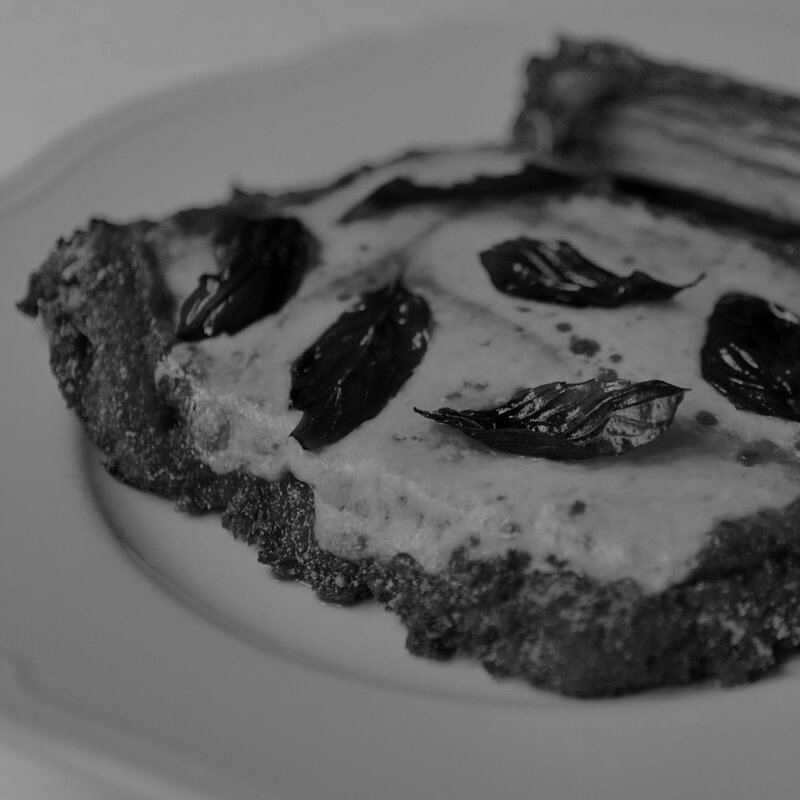 We crave... Carbone's ultra-luxe version of Veal Parmesan is the most famous in NYC, and now Vegas! Premium veal, house-made mozzarella, and a bright tomato sauce make for veal parm perfection. Try it with a side of Spicy Vodka Rigatoni, tender pasta knobs enrobed in a silky sauce of crushed tomatoes, Parmesan, cream, vodka, and chili flakes for a lip-smacking dish you can't resist. Star chef Thomas Keller has dreamed up this charming version of a French bistro, with an elegant menu served up in the delightful ambiance of an authentic brasserie. 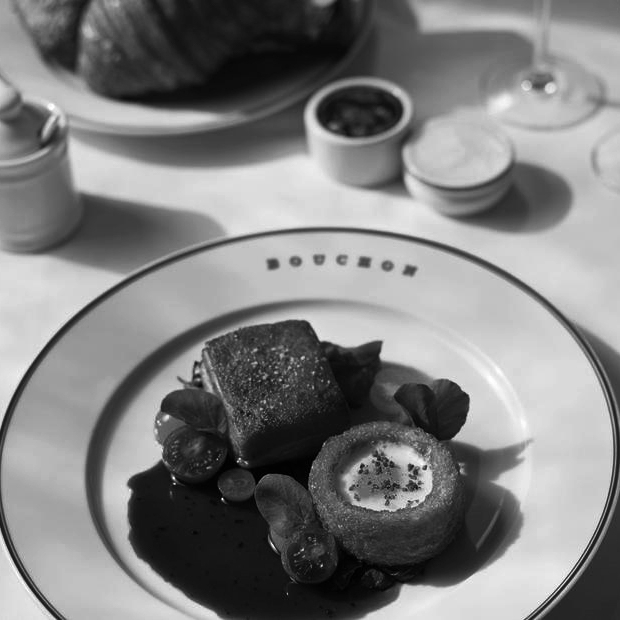 Bouchon is not about pretentious, tiny eats; it’s about a solid meal of bistro standards. Perfect for date night or casual weekend brunch on the outdoor patio. We crave... For brunch you can't go wrong with the Waffles for something sweet or the Smoked Salmon for something savoury. For dinner, the Boudin Noir is a special delicacy, while the Poulet Roti with its mouth-watering jus makes chicken a real treat. The world-famous Nobu restaurants needs little introduction. Offering a mix of hot and cold dishes, sushi, and tempura, Chef Nobu Matsuhisa presents a traditional Japanese cuisine infused with bold South American and Western flavors. We crave... everything! So we suggest going for Nobu's Tasting Menu and enjoy a taste of all the goodness. Plus you don't even have to think, just savour the food and the moment. Jaleo's centerpiece is the Paella Grill, an open-fire wood grill specially designed to cook up their paella masterpieces in the authentic Spanish way - and one of only three in the world. The menu features all of the traditional Spanish classics, prepared with a little Vegas spice. We crave... Paella! While the selection of paella varies day-to-day, it never disappoints. And then there's the endless tapas. We love the Conejo al a Riojana, the Chorizo Ibérico, and of course the classic Tortilla de Patatas. Hand-shaken margaritas? Check. Ceviche and enchiladas? Check. A selection of the world’s finest tequilas? Check. At Javier's you’ll find all the makings for an upscale yet approachable, authentic Mexican dining experience, all while surrounded by unique Aztec decor and motifs..
We crave... enchiladas! Both a Mexican favorite, and a favorite of ours, especially the Enchiladas Poblanas or the Enchilada & Taco combo for the best of both worlds. We crave... start with the apple and kale salad, it's so delicious you'll forget you're eating a salad. For an elevated classic American dish, go for the Grilled Cheese and Tomato Soup Dumplings. Or, for something hearty, try the delicious Chicken Meatballs. If you are craving Kobe A5, arguably the best beef in the world, Jean Georges Steakhouse is the spot. And the offerings extend far beyond a simple steak. Three different types of beef from around the world, dozens of cuts, a selection of seafood, and unique sides. Jean Georges has something for everyone, as long as everyone is looking for the best of the best. We crave... steak! It may sound cliche at a steakhouse, but we're doing it anyway. You only live once, so we definitely recommend going for the A5 Certified Kobe Beef. The Wagyu is damn good too. We crave... octopus! The sashimi-quality Mediterranean Octopus is to die for. The Bib Eye Tuna is also a standout, perfect with Milos Special side of fried zuchinni and eggplant. Take your dining experience to the next level with XPR's Milos Chef's Table experience. This tiny restaurant in a nondescript strip mall in Chinatown is one of Vegas' special little secrets. The 18 seat sushi bar offers some of the best sushi outside of Japan, with incredibly pure and clean fish flown in from the bay of Tokyo. The sweet and deferential servers are very helpful in navigating the menu and suggest sake pairings. 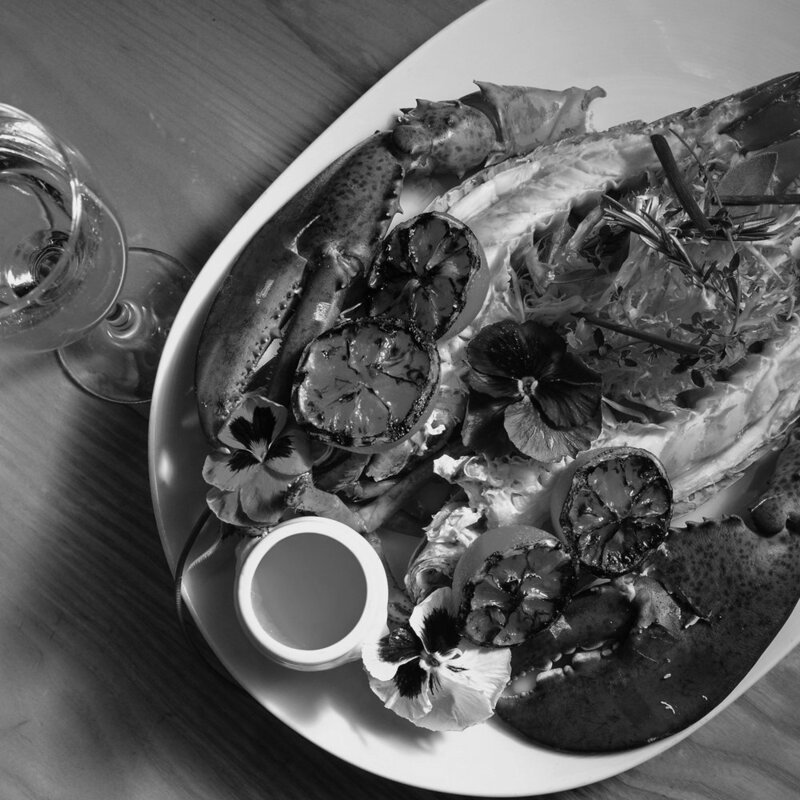 We crave... honestly, we defer to your waiter on this one and don't forget to ask them for the perfect Sake pairing. Nearly every casino houses its own cafe, and amongst them all, Terrace Pointe Café stands out above the rest. With lively decor, streams of sunlight, and views of the manicured gardens and resort pool. Breakfast, lunch and brunch favorites are deliciously reinvented in this relaxed café with a refined feel. 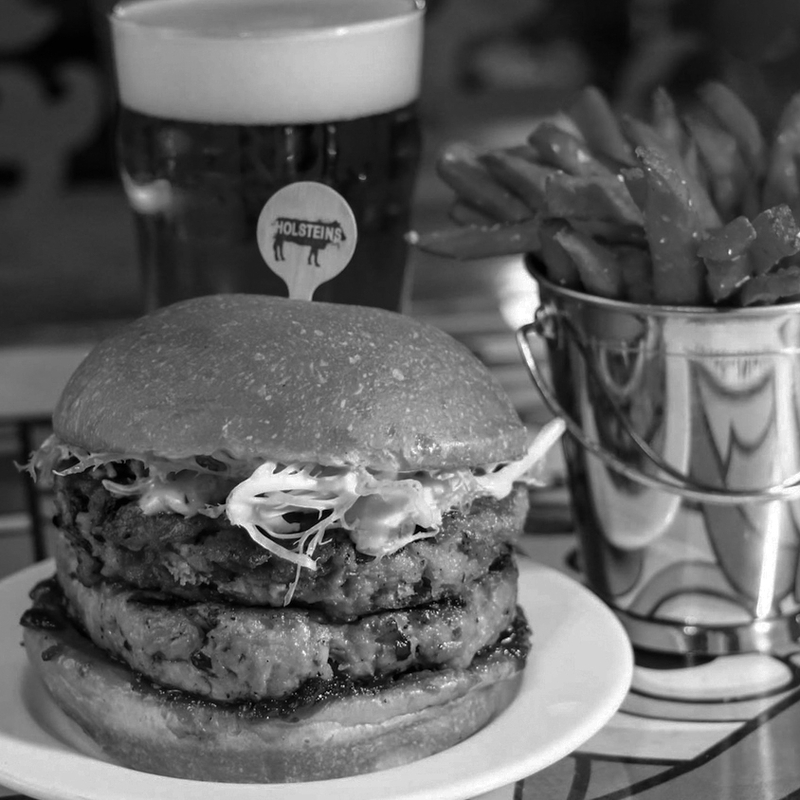 We crave... the oh so sweet Brioche French Toast, the everything is better with truffle Truffle Mushroom Angus Burger, or for sandwich lovers, definitely try the Smoked Turkey Panini. We crave... happiness! And it comes in a bottle with Bee Happy, a fan favorite dairy-free chocolate "milk". If you went a little too hard last night, you'll want to try Bee Cosmopolitan, a hangover’s healthy antidote. We crave... ice cream! Cereal Milk Soft Serve to be exact. And it's exactly what it sounds like: ice cream laced with childhood nostalgia. Don't forget the special crunchy corn flake topping! For you cookies monsters, you won't want to miss the Compost Cookie. It's not at all what it sounds like, but rather the most delicious cookie mashup ever with everything from chocolate to butterscotch chips, even potato chips and pretzels. Ranked #1 Vegas buffet by USA Today, Bacchanal completely reinvented the traditional buffet, with modern food presentation and an upscale setting. Bacchanal's team of specialized chefs prep of the majority of the food in front of you, cohesively running nine distinct restaurants in one location. Approximately 15 daily chef's specials are added depending on products, season and the chef's whims. We crave... Prime Rib, Crab Legs, Hand-Made Dim Sum ...fill your plate and dive in, this is a buffet after all. Just make sure to leave room for dessert so you can top it all of with a Baked-to-Order Lava Cake. We crave... Pepperoni Pizza - don't mess with the classics. We crave... The Gold Standard Burger with it's dry-aged beef sirloin, smoked bacon, aged cheddar cheese, tomato confit, baby arugula, garlic-chive aioli... drooling yet? Then there's the Billionaire Burger: Kobe beef patty decked out with foie gras, port onion marmalade, and truffle mayo. Yes, you're definitely drooling now. Top it all off with a Drunken Monkey Shake: Reese's, banana, malt & Frangelico. Drawing influence from all over the world, including the US, Korea and Japan, the menu features steamed buns, noodles, meat and seafood meant for sharing - not to mention the incredible ramen (which you may not want to share). 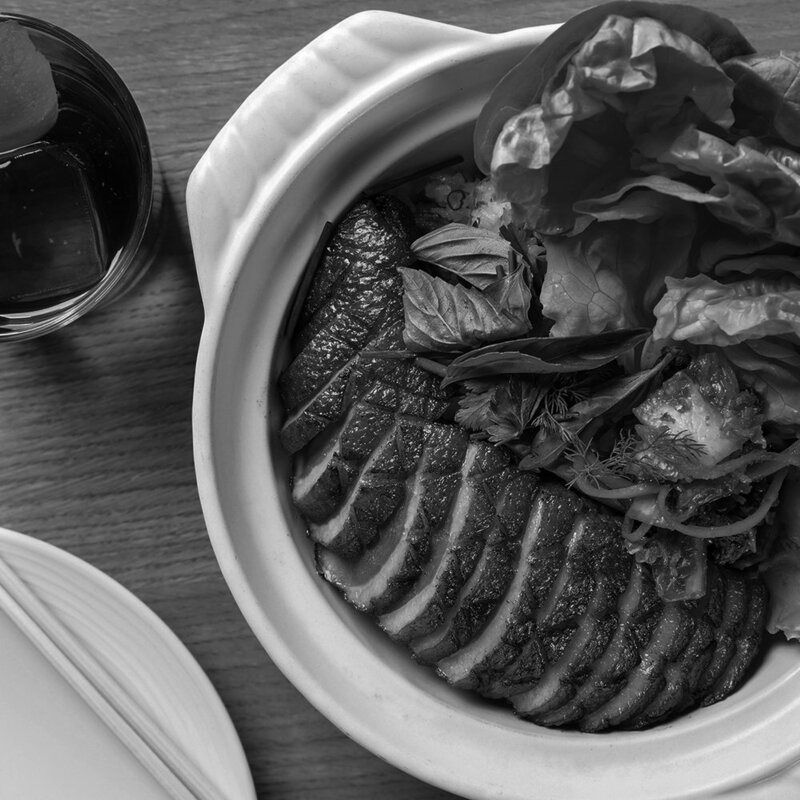 Credited with “the rise of contemporary Asian-American cuisine” by the New York Times and named the “most important restaurant in America” by Bon Appétit magazine, Momofuku now has restaurants in six cities and has gained worldwide recognition for changing the way we eat. 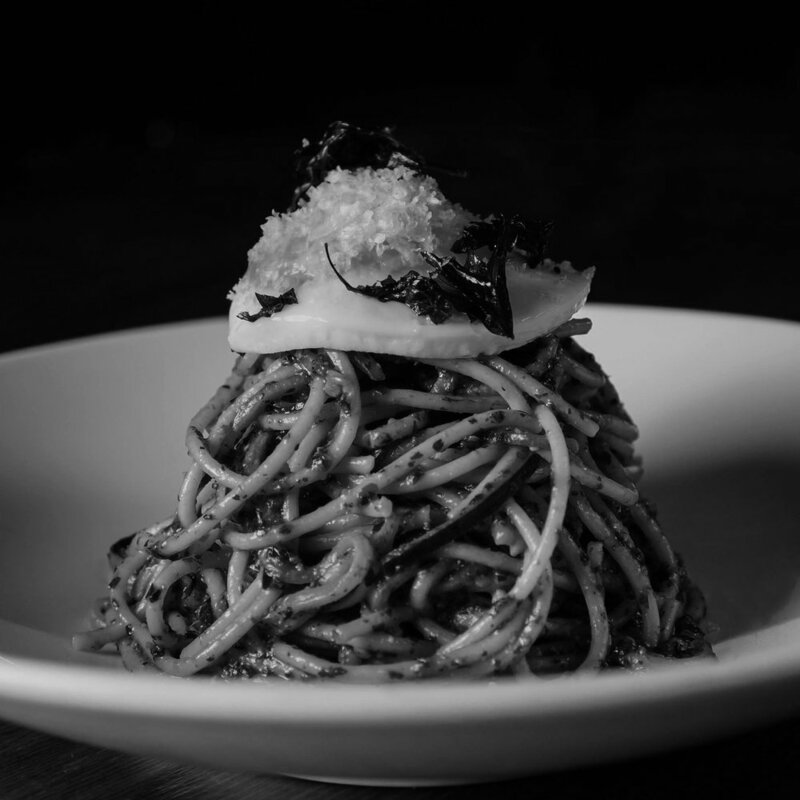 We crave... Black Truffle Ramen. Cause everything is better with truffle. A long way from your college instant ramen packs, this is the most deliciously decadent bowl of noodles. You'll think you've died and gone to ramen heaven. This is just a taste of the drool-worthy Vegas dining tips and foodie experiences we can deliver. Sign up below to always be first to know.